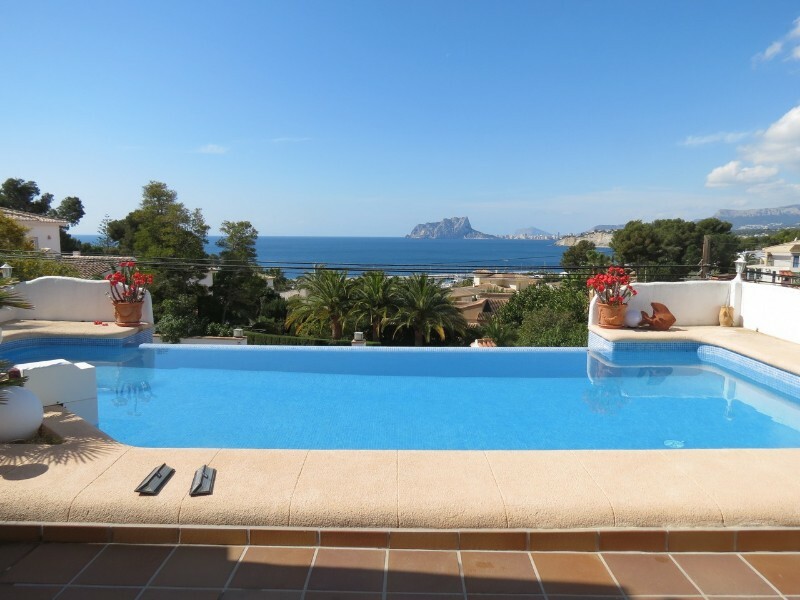 Modern villa for sale in Moraira.New modern villa just 2.5 km away from the beach. 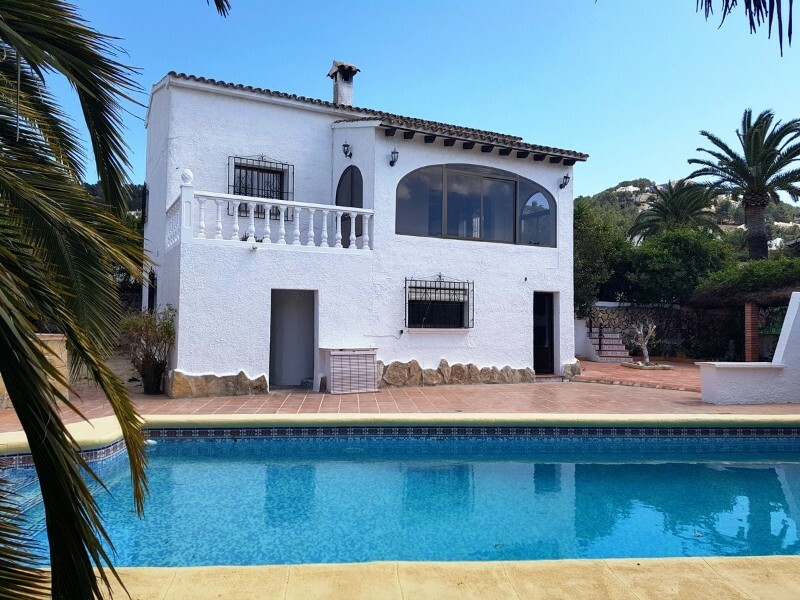 The Villa has 3 bedrooms, 3 bathrooms, a spacious living and dining room, a modern kitchen, laundry room and covered parking place. Of course, the property also has a pool area with infinity pool, an easy mantainance garden with automatic water system and terraces.For the construction only highquality materials will be used, including for example ceramic tiles from the brand Saloni, complete kitchen with household from Siemens, bathroom and fitting from Roca, LED illumination, underfloor heating, security glass, air condition (cold and hot ), solar panel, fitted wardrobes and electric shutters, energy classification A.